After graduating from Durham University with a degree in Anthropology Sophie had a career in television working on dramas such as ‘Doctor Who’, ‘Eastenders’, ‘My Family and Other Animals’ and the vet series ‘One by One’ before directing educational programmes for BBC Schools. After producing the ‘INSET’ series she emigrated to southern Africa where she worked freelance for the BBC Natural History Unit whilst working as a safari guide. Disaster stuck when she fell off a horse breaking her pelvis but she used her time on crutches to turn professional as a wildlife artist and has since exhibited widely in both the United Kingdom and South Africa where she was based for twelve years. Having been brought up with tame Asian short-clawed otters, Sophie has given a number of talks on otter conservation that have caught the attention of the British press. Now living in Hampshire, she gives talks on a variety of subjects although the most popular remains ‘The Secrets of filming Swallows & Amazons‘, a movie she appeared in at the very start of her career. ‘When I joined the BBC as a graduate trainee I found myself working on ‘The Book Show’, a magazine programme presented by Ned Sherrin. It was my job to look after authors – which was fabulous. I remember taking Willie Rushton to be interviewed aboard the Orient Express and rather wishing we could go all the way to Venice. ‘I was wondering what to do next when I found out that the BBC had bought the rights to Arthur Ransome’s books. I found myself going to see a producer called Joe Waters. He is probably most well known for directing Dixon of Dock Green and Z-Cars although he also produced such classics as Warship and The Enigma Files; a brilliant man. When I told him that I had acted in the feature film of Swallows and Amazons as I child he invited me out to lunch, interested to know how they had filmed the dinghy sailing sequences. Before I knew it I’d been taken on to cast the children in Coot Club and The Big Six, finding David Dimbley’s thirteen-year-old son Henry to take the lead. We spent three months filming on the Norfolk Broads. It was idyllic. The sun shone continuously and we had the most glorious time. Julian Fellowes played Jerry the Hullabaloo. It has just struck me that he looks rather like Arthur Ransome. 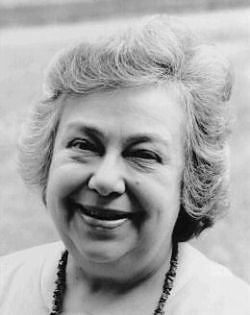 Rosemary Leach was iconic as The Admiral and Colin Baker played Dr Dudgeon, Henry Dimbleby’s father. Amongst other things I was on the second unit, which was directed by our film editor Tariq Anwar. He recently edited The Kings’s Speech for Tom Hooperand Great Expectations for Mike Newell. Joe and I also set up photographs to be used on the front cover of a new edition of the novels for Puffin and for what became a well loved DVD, which is still available on Amazon. ‘I’d started looking for children to appear in the Swallowdale and Picts and Martyrs when Joe returned from a recce to the Lake District having sadly decided that they were simply too expensive to make. My department manager said that if I wanted to remain in BBC Drama with a view to becoming a director I needed to start all over again and formally work my way up the ladder. I became a runner on the spy series Cold Warrior, starring Lucy Flemming and then what would be the equivalent of Third Assistant Director on Charters and Caldicott featuring the grand old me of the stage Michael Aldridge and Robin Ellis. Never have I been more embarrassed as in the company of those two. They took me to lunch – that is we took the lift up to the BBC rehearsal rooms’ canteen – and chose a small round table next to one at which Omar Sharif was sitting. They had their back to him. He sat alone. ‘Shame about Omar,’ Robin Bailey declared in his loud, clear theatrical voice.’Terrible gap between his front teeth.’ It was not at them that Dr Zhivago stared, but at me who was sitting opposite him. Their banter was ceaseless. As we took the lift down it would be, ‘Afternoon, Joan, darling.’ Kiss, kiss, then, ‘That extraordinary Collins woman again. Tiny isn’t she? And wearing wig.’ That sort of thing. They were terribly nice to me, but then I was the girl providing the tea. Michael Aldridge played Uncle Matthew in an adaptation of Nancy Mitford’s autobiographical novel Love in a Cold Climate when my sister Tamzin played his daughter, the Hon. Linda Radlett. He was really wonderful in the child-hunting scenes. Tamzin had to learn how to ride side-saddle for the part. She was given an Arab horse that was so skittish they had to hold up one of its feet when they were shooting her close-ups. I went to watch the filming at Swinbrooke church. Julian Slade who lived near us was composing the music. He didn’t drive so I we went over together, finding Mum already on location, wrapped up in a fur coat and hideous make-up. She was playing Anthony Head’s mother the hated Lady Kroesig. I don’t think she has worn a fur since. ‘I was a very good runner. The equivalent of being a third assistant director in movies it is an interesting job as you are on the pulse of each day’s filming. I was very, very nice to the supporting artists – I’d been one so many times myself. Back in the late 1970s I’d been in the pretty unique position of possessing an Equity card when you had to have one to work as an Extra or Walk-on in film or television. It was well paid work back then and there was lots going on. I was nineteen and needing ad hoc income. HTV made quite a few TV movies that were shot near my parents’ house such as, The Curse of King Tut’s Tomb, which starred Eva Marie Saint, with Robin Ellis as Howard Carter and Harry Andrews as Lord Carnarvon . I’d drive over in my Citroen-deux-cheveaux, climb into the most fabulous costume and get paid for walking down a staircase. Then I’d have a very nice lunch with Wendy Hiller before going home to swot for my A’levels. Earning an extra ‘Special Skills’ fee for ringing a period bike in Cirencester Park. It was quite tricky especailly when the horse-driven carridges trotted past. We got involved in all sorts of things as a family. Dramas seemed to come to us naturally. When the Director Moira Armstrong made an adaptation of Winifred Foley’s A Child of the Forest under the screen title of Abide with Me she chose our village church as a location. Of course we were all there, singing the hymn. For some reason she needed to start editing the film straight away, so Tony Woolard, the film editor, came down to work on it at the top of our old mill. His assistant got frightened, working in the country, and ran away so I took over, becoming an Assistant Film Editor for a couple of weeks. I reminded Moira how I had slaved for her when I became her Film Researcher about ten years later but she couldn’t remember a thing about it. Tony could. His Assistant had been re-winding 16mm film on the Steinbeck one night when something about the frequency of the sound reeling backwards set off the sound of the mill workings that must have some how become recorded in the stone. He interpreted it as a haunting and ran for his life. ‘Although not that many movies were made in England in the late 1970s there was a surge in television production. I supported myself through university by regularly working on dramas such as the detective series Shoestring which starred Trevor Eve, Poldark with Robin Ellis, the hospital drama Angels with Fiona Fullerton and Sherlock Holmes with Tom Baker as the lead. ‘I played a messenger boy in a star-spangled version of Kidnapped. Why they couldn’t find a real boy I’ve no idea. I was in Good Companions for Yorkshire Television and appeared in all sorts of things for the BBC ~ Agatha, Jasper Carrott, A Cotswold Death, Long Distance Information, The Recruiting Officer, Choir Practice, Lloyd George – when we were suffragettes, Persuasion, John Wesley and The Odendin Line, which was fun. 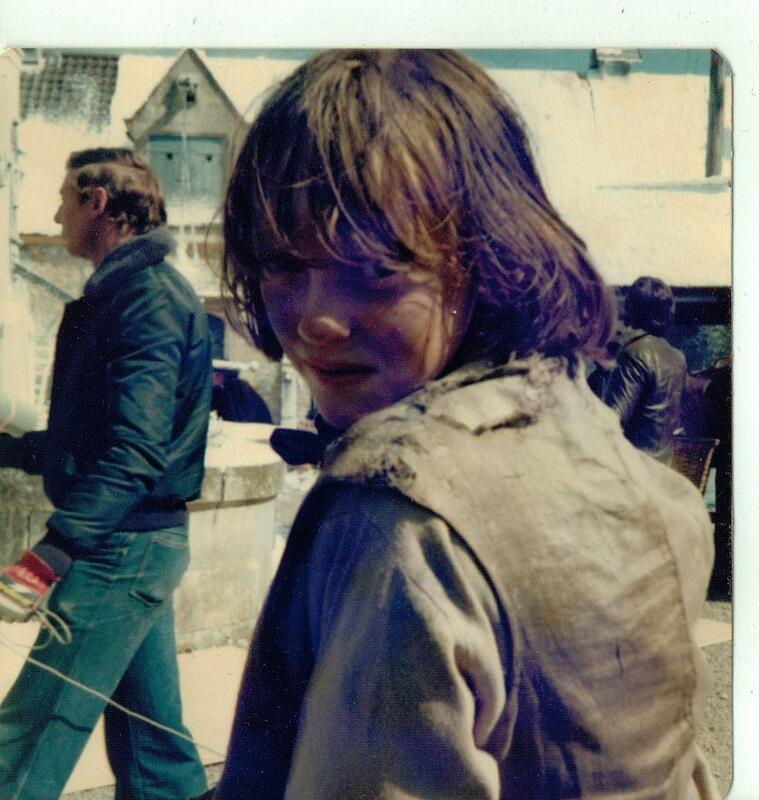 Appearing as a messenger boy in ‘Kidnapped’. There were only two other female parts in the epic TV movie produced by Patrick Dromgoole for HTV. Is that the Prince of Wales walking across the set behind me? We were in Nanny with Wendy Craig, Murder at the Wedding with Christopher Biggins and Body in Question with Jonathan Miller. The only commercial I ever made was for Wheetabix. Claude Whatham directed a series of advertisements set in 1920’s England with me in a cornfield and my sisters in a lovely sequence about a traditional village produce show. ‘Much to the delight of the dinner ladies at my college I had a small part in the ATV soap opera Crossroads. They couldn’t work out how I could have been on the telly at 5.30pm and back in the queue for dinner at 6.30pm. When I was about nineteen a two-part Saturday Night Thriller was shot at my parents’ house called Dark Secret. I actually worked for the Prop-buyer, ‘Can you get me five freshly killed rabbits for tomorrow morning?’ but we were all persuaded to appear in the final scene, as visitors to our own house. I wore another ridiculous pink costume. It does not look good as a credit on my Imdb page – but never mind. ‘The next summer I appeared in The Two Ronnies, which was so exciting as I got to rub Ronnie Barker’s big fat tummy in their popular spoof detective series Charley Farley and Piggy Malone. Ideal work for a student as it was shot in the summer vacation. Since I had a proper part with scripted dialogue I went on to receive residuals. A repeat free for £50 arrived only a few months ago. It was such a surprise. If you write to the BBC and ask for more of Charley Farley you might get to see me an a yashmak and I might remain solvent. The story ends with a crane lowering a wooden crate onto Southampton docks. The front bursts open and I march out playing ‘For All the Saints’on a trombone followed by eleven other ladies in pink dresses making up the band. My grandmother once worked at the same dockyard. She was driving an ambulance there after the D-day landings, anxiously looking for her own son. Please note that I am not standing on anything in this photograph taken with Ronnie Corbett. ‘My sisters and I were skinny enough to gain long running contacts on the hugely popular drama serial Tenko about female internees of the Japanese during World War II, which starred Stephanie Beauchamp, Ann Bell and Stephanie Cole. 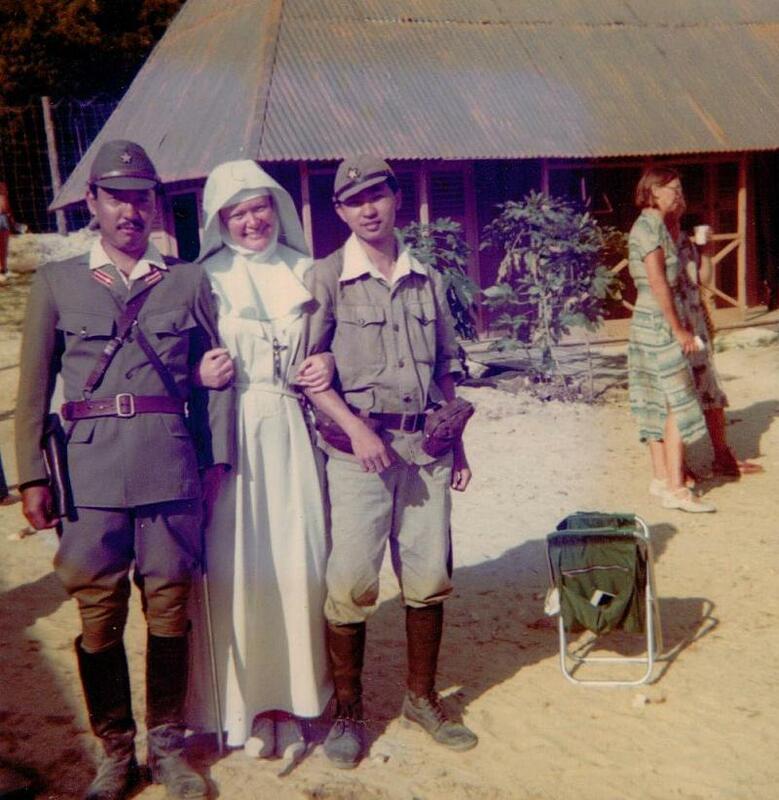 Tenko was based on the true-life experiences of a former internee and was incredibly popular, attracting audiences of 14 million. Like The Two Ronnies, it was filmed near Bournemouth. We were treated exactly like prisoners of war but had time to observe how a large sequences were made so it had been good experience. What impacted me was the fact that it was a story based on the truth. The most surreal experience was playing a real person – Diana, Princess of Wales. It was for a BBC sit-com called ‘L for Lester’. I didn’t have to say anything, just smile and wave graciously. It was the summer of 1982. 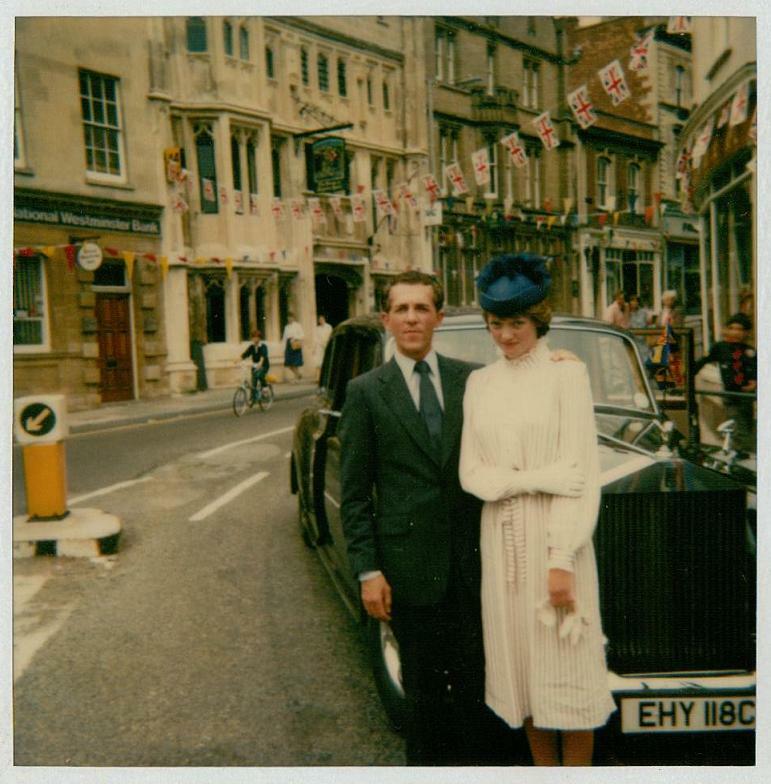 We were driven, my husband and I, in a Rolls Royce into a small town in Gloucestershire. The street were decked in bunting and lined with crowds waving flags including as many primary school children, Cubs, Scouts and Brownies as could be gathered together for the afternoon. I think the children believed the real Princess was on her way. I absorbed the full flare of their passionate if not fanatical adoration, which was really quite daunting. It gave me a brief glimpse of what life must have been like for her, a girl a few months younger than me. ‘I needed all this experience in my fulltime job at the BBC once I started working as the Third Assistant Director on the long-running series One by One. 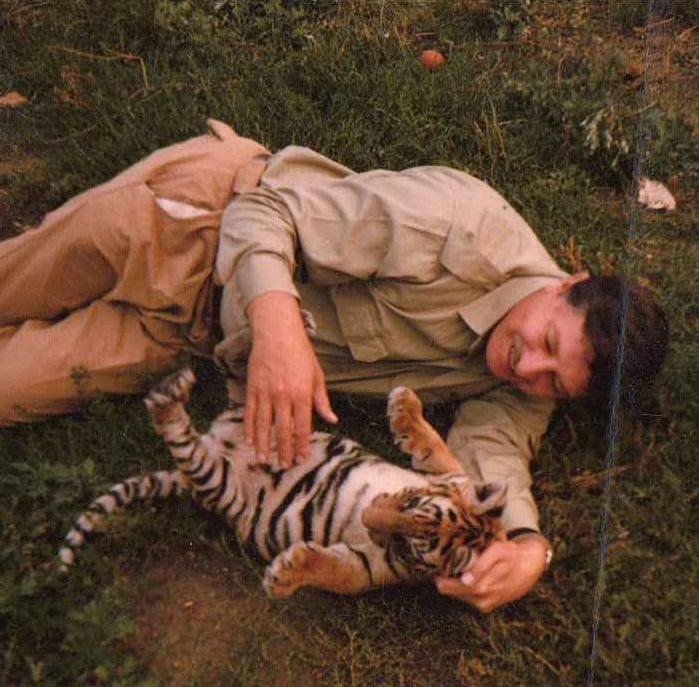 This followed the life story of a vet called David Taylor who specialised in exotic animals. It starred an Indian elephant, a baboon and Jimmy Ellis – darling of the nation, since being in Z-Cars but a difficult chap to get out of the pub. It also featured a tiger cub belonging to Billy Chipperfield, to which I was so allergic that I thought my eyes would never open again. If you have an allergy to cats do not go near big ones. The Production Associate and I climbed into costumes so that we could direct the Extras in one sequence. The story was about a leopard that had escaped from a zoo and was wreaking havoc in the Peak District. There is a wide-angle shot of a line of men coming over the snowy horizon, combing the hillside in search of it. Even though I was wearing workmen’s overalls and a balaclava helmet you can recognise me. Luckily I was behind the camera when they found the leopard. His trainer slipped on the snowy ground. Although tame and hand-reared, the leopard pounced and sank his teeth into the poor chap’s thigh. ‘I then became the equivalent of a Second Assistant Director, or Assistant Floor Manag er, on Doctor Who, and what fun that was. Colin Baker, who had played a doctor in Coot Club was now The Doctor, with Martin Jarvis as the Governor and Jason Connery, Sean Connery’s son, in the role of Jondar the hero. Nicolas Chagrin was a baddie called Qulliam and Stephen Yardley – who was well known at the time for staring in Howards Way – had a comic role alongside Geraldine Alexander. She seems to be half his size. We were meant to be on the planet Varos, but I’m afraid it was shot entirely in Studio 8 at BBC Televison Centre in Wood Lane. I’ve just looked up the series on IMDb and am amazed to find great chuncks of Philip Martin’s script are pasted up. ‘When working in television production it is pretty near impossible to take any holiday during a series. We were granted Leave once a show went on to the editing stage. I took five weeks after completing Doctor Who to accompany my boyfriend, Alastair Fothergill, on a trip to Uganda and Zaire. It was a partly recce for a possible Wildlife on One about giraffe-like creatures called Okapi who live in the Ituri Rainforest. We spent seven days living with the pygmies trying to find them before giving up. We were, however successful in finding chimpanzees and gorillas, as well as a number of species of monkeys such as red colobus who have the most interesting social behaviour. I had read primatology at university so was thrilled to be able to observe them in the wild. Having just completed The Frozen Planet with Sir David Attenborough for the BBC, Alastair is now using all he has learnt about chimpanzees to make a feature film for Disney Nature. It is to be one of three wildlife movies for the big screen. ‘Margaret Kelly was a dancer from Liverpool whose startling blue eyes and long legs led to her becoming known as Bluebell. At the age of 22 she formed the Bluebell Girls, a troupe of tall dancers who appeared on stage at the Folies Bergere and still dance today at the Lido in Paris. She married a musician, a Romanian Jew, who she managed to hide in Paris during the occupation despite being interned in Besancon and interrogated by the Gestapo. I worked on the drama of her life. The eight-part series was directed by Moira Armstrong and starred Carolyn Pickles as Bluebell. Annie Lambert played her best friend, Helen, while Miranda Coe, Sebastian Coe’s sister was one of her stalwart, tall and lovely dancers. It was my launch into the field of wartime romance and I loved it. ‘Bluebell’ the BBC wartime romance shot at the theatre in Halifax with Thelma Ruby as the ledgendary Mistinguett. If I am not mistaken, the beautiful tall dark dancer holding feathered fans on the steps, second from the top, is Miranda Coe. I helped the writer, Paul Wheeler, with the historical research, flying to Paris to meet Margaret Kelly, who was still working at the age of 72. I managed to track down a number of amazing former Bluebell Girls and produced files of photographs for the designers to work from. There was a sizeable amount of film research, which included viewing the incredible black and white Nazi footage on 35mm nitrate film at the British Film Institute. When I turned up at the BFI, gave them my name, and was astonished to find myself being treated like absolute royalty. Later I found out that they had thought I had said ‘Safety Level’ rather than ‘Sophie Neville’. They thought I had come to inspect the conditions under which the highly combustible nitrate film was being stored and viewed. Lawrence Wilson working on the Parisian set of ‘Blubell’ constructed on the lot at Elstree Studios. Director, Moira Armstrong is to the right of the shot. I went on to work on the series as an Assistant Floor Manager or Second Assistant alongside Lawrence Wilson who is now Directing the famous soap opera Neighbours in Melbourne. It was hard work. Up to 450 extras in 1930s evening dress, 16 dancers, a dozen leading actors and a full orchestra, not to mention 6 ‘nudes’, would be needed ‘ready on set’ to begin recording at 9.00am at the huge theatres of Halifax and Harrogate. I remember Lawrence allocating 32 musical instruments and 24 enormous ostrich feather fans. In production terms we had it all – a Nazi internment camp near Liverpool, the interior and exterior of a Parisian Cafe built on the Lot at Elstree and eight studio sessions at Television Centre before the entire crew, with a scanner for a two camera Outside Broadcast, took the ferry to France. Things went wrong continuously. The WWII lorries collided on the set of the Nazi camp, a child was sick on my head during the ferry crossing and the unit coach containing twenty-five extras became impaled on a stone wall. I had to ask them to walk half a mile along the coast to the beach where the scene was being shot. At one stage the Armourer disappeared leaving me with a crate of WWII rifles in the Place de la Concord. We couldn’t leave them there. They were too heavy to move. I had no option but to hand them out to my Extras and organise the Liberation of Paris in my halting French. The hard work paid off. Bluebell gained 5 BAFTA nominations and the award for best costume design, which went to Verity Lewis and Janet Powell. George Perry used my research notes to write the official biography of the dancer from Liverpool who outwitted the Nazis and impacted France. ‘I next worked on the new BBC signature Police series, Rockliffe’s Babies with Joe McGann; a tough two-camera Outside Broadcast recorded in west London. I was also an Assistant Floor Manager on The Diary of Anne Frank featuring Katharine Schlesinger that was shot in Bristol. For a while I went on attachment to BBC Plays to work on Titus Andronicus, part the BBC Shakespeare Collection, in which Sean Bean had a small part as The Clown. Trevor Peacock and Eileen Atkins played the king and queen in this gruelling production directed by Jane Carr. Phillida Lloyd was my senior AFM. She went on to direct Mama Mia, the most successful of British Musicals and has just directed The Iron Lady starring Meryl Streep. 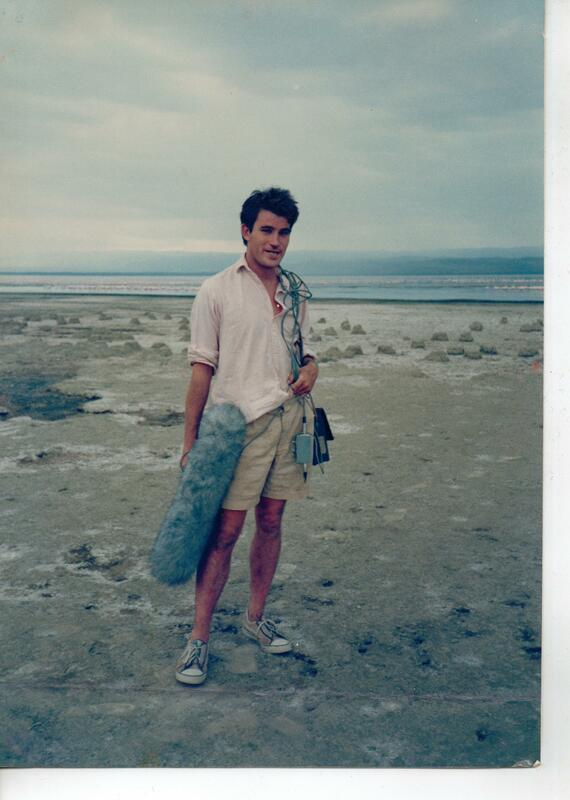 ‘With three months paid leave owed to me I took a sabbatical from the BBC to join Young Europe Africa, an expedition consisting of 32 young people, led by Charles Mayhew who now runs the charity TUSK of which Prince William is the Patron. We drove from London to Johannesburg in eight 4WD vehicles – a long way on dirt roads. It was when the team were working on aid projects in Kenya that I had the chance to direct my first 30 minute documentary, shot with a crew from Nairobi on 16mm film and broadcast on Channel 4 under the title Out of Europe into Africa. 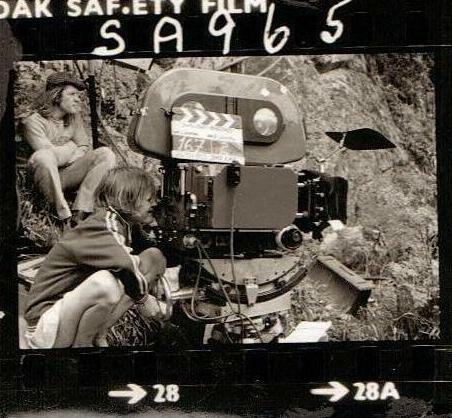 I was 25, young enough to drive through the bush all night and spend all day filming despite stiffling heat and a bully of a local cameraman. We pulled it off, despite the odds and it was screened to some acclaim. ‘I flew back from South Africa to work on Eastenders. The soap opera was just starting up but was already drawing huge audience figures. Had I returned to direct it? Sadly no. More ladder climbing for me – which entail ed training up others in true BBC tradition. But I enjoyed running the rehearsals and stage-managing sequences shot on the famous Albert Square lot at Elstree Studios. It was good to be involved in such an iconic drama as it became established, working with actors with considerable experience such as Wendy Richards who had previously appeared in Dad’s Army and Are you being Served? I got on well Leslie Grantham who played Dirty Den and with June Brown, who is still playing Dot Cotton. I did received rather strange looks from Anita Dobson, who played Angie when I was showing around a visitor of mine – until he smiled, opening a door for her, and she melted to his charm. The visitor was Alastair Bruce, now advisor on Downton Abbey and the Sky commentator for the Royal Wedding. Before long the another visitor turned up without warning melting the hearts of the entire cast. It was Diana, Princess of Wales – or Princess Diana, as all the Eastenders loved to call her. To my delight I found that one of the most popular stars of Eastenders was My Little Willie – the pug dog who we had chosen to play William, The Admiral’s dog, who saved the day in Coot Club. I spent an inordinate amount of time persuading Gretchen Franklin, who played his owner Ethel, to tell me stories from her very long career in soaps. ‘In one show I had to open an oven and take out the turkey on Christmas Day.’ This was on live, Christmas Day television. ‘Well,’ she told me, ‘I opened the oven and there was nothing there. Nothing at all. I couldn’t think what to do. The rest of the scene, and being Christmas, the rest of episode, centred on the turkey. I had no choice to look straight into the camera and say, “The bird has FLOWN.” Someone had stolen it.’ ‘What did the director do?’ I asked. ‘Oh, it was a disaster. They cut to black – but what could I do?’ We all screeched with laughter. She said that they later found the turkey hung up on a coat hook, hidden under someone’s anorak. Someone stole one of the props from the Eastenders set soon after Gretchen told me that story. It wasn’t funny. I was responsible for its safe keeping. The situation was dire because although it was only a plastic toy we could not finish recording the episode without it. The prop was worth £5. The cost and the havoc caused by having to re-mount the whole studio another day was mind-boggling. Julia Smith, the producer was furious. Livid. I faced getting a very bad report. The production manager stayed calm and gave the thief a caveat of grace to replace it by calling an early supper. I prayed. The prop was not replaced. Standing alone in the wide corridor at Elstree studios, and feeling devastated, I decided to check the rubbish bins. There, inside a blue flip-top rubbish bin standing at the studio door was the precious prop. ‘Despite this near fiasco Joe Waters chose me to work on a the adaptation of Gerald Durrell’s best-selling autobiographical book My Family and Other Animals, which involved 4 months filming on the island of Corfu. What a joy it was. It was such a privilege to get to know Gerry and his wife Lee Durrell who flew out to watch the filming. ‘I can’t believe such a beautiful woman as Hannah Gordon is playing MY mother,’ he enthused. He adored Daren Redmayne who I had helped cast to play himself as a boy. Sarah-Jane Holme looked so like his sister Margo that when the two met at the premier they burst out laughing. Since I was responsible for the research I bullied Gerald Durrell into unearthing his old family photographs. These were so interesting that his publishers bought out a new, illustrated edition of his book to accompany the series. I loved working with the tortoises and geckos, the piglets and hens Gerry grew up with. Nigel Marven shot the natural history sequences but I would drive over to his villa to pick up creatures such as Achilles the tortoise and various insects once they became pets and appeared with the actors. I don’t think Nigel had anything to do with the piglet. Dave Privett the prop buyer asked Janimals – the dog handlers – to train him to walk on a lead. This was achieved in about ten minutes. 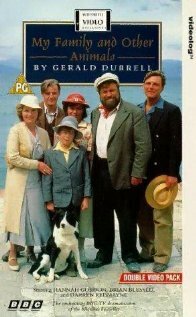 Because there were so much for the little boy playing Gerald Durrell to do I started standing in for him more and more. 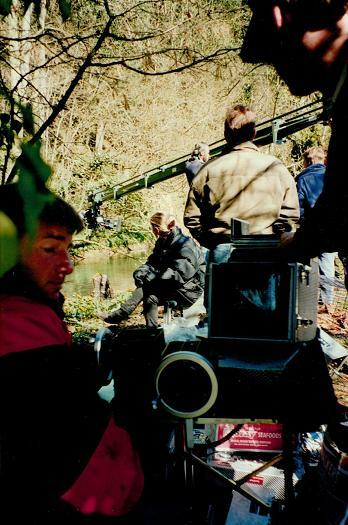 As Assistant Floor Manager it was my job to read in his lines so that Darren Redmayne could rest or get on with his school work while the other actor’s close-ups were shot. If you watch carefully you can see me dressed in his costume, trying hard to look shorter in various long-shots. I managed to squeeze into his clothes but not his shoes. Brian Blessed was always giving us bearded kisses. It must have been a reflection of how happy we all were. His wife Hildegarde was very gracious about it. The only really difficult bit about filming on Corfu was having to push Brian up a stoney hillside, through an olive orchard to the camera set-up. ‘Don’t worry,’ he panted. ‘I’m planning on climbing Everest next. In historical costume.’ We all thought this balderdash, but Anthony Calf, who was playing Larry, assured me that he would do it. And he did. I couldn’t believe my eyes when I saw a documentary of him plodding towards the summit in tweeds. He is the oldest man to have trekked on foot to the North Pole. There seems to be no stopping the man. He totally alludes aging. Brian Blessed was in the first television series I ever appeared in as a child: Arthur of the Britons. It is currently rumoured that he is playing King Dain in The Hobbitt: There and Back Again. He has had the most amazing career appearing in movies such as Flash Gordon, Robin Hood Prince of Thieves when he played Kevin Costner’s father, Henry V and three other Shakespeare movies directed by Kenneth Branagh, aswell as the soon to be released Katherine of Alexandria, which stars Peter O’Toole with Nicole Madjarov as Katherine . I appeared in vision quite a bit when I was a second assistant. It was much easier to cue and direct crowd sequences in costume. I would put my Motorola in a basket and hide my face beneath a straw hat. When we were filming abroad it was a lot easier to get into costume and be a waitress than try to control the complex continuity involved in handling tea trays while communicating in a foreign language. We also got paid a little more. Sophie the second assistant in French maid mode with Dave Milsom, Costume Dept. We realised rather late in the day that we needed waitress and I was the one member of the crew with an Equity card. ‘This time I returned from the sunshine of Corfu to work as a location manager on Rockcliffe’s Babies, shot in and around the streets of Notting Hill. I was the girl organising car chases the wrong way around the Harrow Roundabout at 6.30am on a Sunday morning or parking up 85 vehicles in Bayswater. One location was in a house occupied by prostitutes. The electricians were most amused by this ‘You going to get us a 25% BBC discount Sophie?’ They’d shot loudly as they arrived with their lamps at 7.00am. Nothing I could do or say would hush them until they inadvertently dropped a short but expensive cable into the back yard. They were far to embarrassed to knock on the door of the lady working down there to retrieve it and started trying to get me to ask her for it. We recorded a sequence in one alley where there had just been a murder and in a very smart street where – unknown to the general public – there were armed hold-ups inside shops almost every week. It was so dangerous back then that I was told we had to have Police protection most of the time. I am sure this was mainly because the Police enjoyed watching the filming. I recced the area quite alone. Recording ‘Rockcliffe’s Babies’ opposite Paddington Station. I was the Location Manager. In those days a ‘Two-camera Outside Broadcast’ was made up of a so many hideously expensive vehicles I had to have two minders to help with the security. These men were so huge that the two of them could literally pick up a parked car and carry it down the street. It was quite amusing watching a smart shopper’s puzzled reactions when they returned to find their vehicle had magically moved up the street. film – for short periods – in schools, whereby the production can be an exercise in education much like a school play. My local London Comprehensive school were fantastic. I worked with a class of eleven-year-olds, making a pair of improvised dramas that proved so good, and the kids so amusing, that after being shown full length, twice, they were repeated every day as shorts on BBC2 at 9.30am for weeks on end. Well, one show was amusing; it was about what girls think about boys and what boys think about girls. The other programme was about bullying. It was both poinient and painful because it was true. Its success was entirely due to the very brave confession – and indeed repentance – of the biggest boy in the class who had been making fun of someone else for ‘talking posh.’ It was the children’s honesty that made The Way People Talk a great hit. Through the filming the boy who had been victimized gained hugely in confidence and popularity. He had been about to leave the school. We used 16mm film, which was expensive, not just in stock but in lighting requirements. However it was like buying opulent silk to make curtains. It has a wonderful enduring quality. I also got to work with the most wonderful film editors at Lime Grove, including Dave Good, who really taught me how to direct. I was trying to be edgy and thought I could get away without an establishing shot once. He sent me back to get one. (a female mime artist) and thirteen actors of short stature (‘Please just call us Dwarfs, Sophie’) in thick fury skins playing characters called Widgets. I can remember everyone being assembled on the floor of the film stage, the cameraman on is crane and the Production Manager calling for ‘Red light and bell’ when the fire alarm went off. I was obliged to lead everyone out onto Ealing Green where they waited around in full costume to the amazement of passers by. After spending 13 weeks on the Ealing film stages and Vis FX studios making this 10 part drama I was ready to leap into flames myself. The actors couldn’t wait for it to end. I was amazed to discover via Wikipedia that Through the Dragon’s Eye became so hugely popular it reached cult status with the illustrated story book I produced with BBC Books selling in excess of 200,000 copies. ‘I was then asked to produce a documentary series working with 4 to 6 year-olds. This I loved. Spurning a presenter I went for a verite documentary style, transposing teachers conversations onto the footage, using a very experienced film editor. He swore with impunity but the results were great. I was terribly proud of myself until I received feedback from the Controller of BBC Education. She said, ‘There’s a spelling mistake in the title.’ Fortunately we had good newspaper reviews, encouraging reports were returned to my Education Officer and the Teachers Notes that accompanied the INSET documentaries sold very well. Not at 10 Downing Street but on the Lot at Elstree Studios for the BBC Drama Directors’ studio course. I am wearing a green sweater. ‘My next serial was a fully scripted drama serial that featured a 7-year-old girl in almost every scene. At first I couldn’t see how we could schedule this successfully. In the end I cast identical 8-year-old twins to share the part, used two cameras and finished by 4.30pm each day. The serial starred Patsy Bryne who had just come from playing Nursie in Blackadder with Rowan Atkinson and was so experienced we usually only needed one take. I directed five episodes and was sent on the BBC Studio Director’s Course at Elstree in order to direct the second series – a fully fledged BBC Drama Director at last. I’d acted enough as a child to know what would work. And what could cause havoc. Filming with small children and two otters. Can you imagine? Exhausting. I’d grown up with animals though and loved working with them. My family kept tame otters for 30 years so helping to film wildlife sequences had been part of my life, even when I wasn’t at work. It was into the world of wildlife films that I ventured next. Dawn to Dusk ~ a series originated by Sophie Neville, Produced by Alastair Fothergill. ‘How did I make the change? In 1991 I fell ill while I was filming my second big drama series. After endless hospital tests I went to stay in South Africa to be nursed, recovered in five days and started working as a horse safari guide for my friend Sarah-Jane Gullick. She sent me up to the Swaziland border to help sort out the horses for a Game Warden who had scouts mounted on horses. They were not only arresting arms dealers and drugs traffickers – which was terrifying – but poachers, including poachers who were after rare plants. I saw the potential for a natural history series about people working with animals in the bush and sent a proposal to Alastair Fothergill, then the Head of the BBC Natural History Unit in Bristol. In the 1908’s I’d acted as a field assistant for Alastair when he made a short film about wild goats in Scotland and another on egrets in the Camargue. I’d also done a bit of research for him at Lake Nakuru in Kenya where he wanted to make a Wildlife on One about white-fronted Bee-eaters. I knew what would appeal to him. Alan Yentob, the Controller of BBC One, also saw the potential and before long I was setting up programmes in Namibia and Botswana. The first episode featured Randall Moore’s Elephant Back Safaris in the Okavango Delta. It opened with Jonathan Scott, the presenter, being lifted up by the trunk of an African elephant and provided hugely popular, prime-time viewing. I set up a Dusk to Dawn night drive safari further north in Botswana at Mombo where there was a high density of preditators and scientists had been watching a pack of wild dogs for some time. I was keen to feature nocturnal mammals rarely filmed such as Ardwolf, Porcupine and Springhare – kanagroo-like rodents who graze on grasslands. I also suggested an episode about chimpanzees. I did not work on that one but it launched Dr Charlotte Uhlenbroek’s television career. As a result I have a very fine coffee table book full of Jonathan Scott’s fabulous photographs, Dawn to Dusk, about the series I originated. I continued to work freelance for the BBC setting up wildlife films and documentaries throughout South Africa including the BBC Children’s TV’s flagship series Blue Peter and Global Sunrise, a Live Watch for the Natural History Unit. As soon as digital technology came in I bought my own camera and started making independent films. At first these were made for my neighbours who needed to advertise their game lodges, horse safaris or the work of their charity. I was very excited to be commissioned by the SABC ~ the South African Broadcasting Corporation ~ to film the sport of polocrosse. At this point I should have dropped everything else, bought some decent camera mounts and set up a company providing equine sports coverage. It is very popular and would have made me money but I was commissioned by Dashwood Productions to develop Makorogo’s War, a true story set in Tanzania and Burma, into a feature film, so I decided to start writing full-time, only playing Polocrosse at the weekends. ‘Having made this decision I arrived back in England and immediately found myself intricately involved in filming the most complicated sequences. My parents’ tame otters were in demand and I was one of the few people who could handle them. Sophie became the otter wrangler. What Russell Harty would have thought I do not know. Luckily it was only an occassional committment. ‘And then I met my husband. We all learnt to shoot with bows and arrows during the filing of Swallows and Amazons as the Amazons were required to shoot arrows fletched with green parrot’s feathers. I’d played the part of an archery champion in the adventure film The Copter Kids when I was fifteen and had kept up my shooting as my parents were keen. They say that if you want to get married, join a society – which is how, quite incidentally, I ended up meeting the chairman of the Worcestershire Archery Society a few miles from the place where I was born. I then settled down on the south coast of England to concentrate on writing, looking for true stories that could be adapted for the screen. ‘I still travel widely, enjoying long journeys of exploration. Having driven through twenty different African countries the challenge was set to go by horse rather than vehicle. My friends and I have ridden across the Namib Desert, the Masai Mara and the Okavango Delta, and more recently, from Addis Ababa up to the Blue Nile in Ethiopia. In 2008 we rode across South America in 19 days and are planning a ride of 1000 miles through Patagonia. Sophie is a founder and trustee of The Waterberg Welfare Society, a charity set up to address HIV/AIDS in rural South Africa . She has a BA Hons in Anthropology, is a fellow of the Endangered Wildlife Society, a recognised wildlife artist, a speaker for Bible Society, a Director of Witness Films Ltd and a member of The Drapers Company, which was used as locations for The Kings Speech. Thank you! I am just off to South Africa to work on a book about Charles Baber, who appears in ‘Ride the Wings of Morning’. His sense of humour took him through the most incredible problems in life. Have you had time to read ‘Funnily Enough’? I am reading your book now on Kindle about your time in Africa and I love it! What a sense of humor you and your family have! Hi Sophie, I just thought I would leave a message, I have been reading all about your adventures filming Swallows and Amazons on this blog and all about your amazing life – what a lot of great things you have done. I am so glad that your girls are starting to sail. They must write with any questions they would like to ask about the film. Thanks so much for letting me know. Did you ever work with Roger’s friend Dr Bill Frankland. They met at Ital. I’m hoping to see him tomorrow night. He celebrated his 100th birthday in March (scroll down on my News page) and is still working. Thank you for your comment. Do you have any questions about the television programmes I worked on? Have you been able to see the film of ‘Swallows and Amazons’ in your country? Hi Sophie. I’ve noticed the name Sophie Neville on various credits and wondered if it could be the same Sophie with whom I briefly worked on Bookshow an Russell Harty. While looking up a reference to Bookshow, I found your site – and indeed, it is you! Well done on building such an interesting mix of a career – you’ve clearly managed to do it your way – a real achievement. A long, long time ago! What are you doing now, Chris? Hi Sophie. I’ve been reading about your fascinating life & thought I’d say Hello & wish you well. Such fun we had filming the INSET programme in Endmoor School – memories of a happy (& exhausting!) week. I now live in Scotland, having retired many years ago. How lovely to hear from you. Working on INSET was very special and you were wonderful. I have lost my VHS copies! But remember it all clearly. I’m just finishing Funnily Enough, which I received for Christmas, and have enjoyed it immensely. I especially liked the tales of mishaps and incidents that have happened to your rather interesting family; your parents seemed to be incredible characters (the part about your father and the rotavator made me laugh out loud). I wonder if you have thought of publishing a biography of your family; I know the title “My Family and Other Animals” has been taken – but I’m sure there’s a catchy equivalent! Now I can’t wait to read Ride the Wings of Morning. I am so glad to hear you enjoyed ‘Funnily Enough’. It was a great encouragement to receive your feedback. I have indeed written more about my family – let me know what you think about ‘Ride the Wings of Morning’. Mum has now become ‘an internet sensation’ and has had a few more crazy adventures but bringing out another books depends whether I am commissioned to write more about her. She remains unoffendable, so happily gives me a free rein, which is a help but I think I need a few more reviews on Amazon to assure publishers that readers want more. Do leave a comment with any ideas or requests on the Goodreads ansd/or the Amazon page for ‘Funnily Enough’. These are always emensly helpful. Thank you so much for taking the time to add a review on Amazon. It is so helpful. I am told that once a book is given 50 reviews Amazon will advertise it at a higher level. One more review and we’ll be there! I have just been invited to discuss ‘Funnily Enough’ at a Book Group in Bristol on 14th Feb. It is such a great date! I’ve just found My Family and Other Animals on Daily Motion. I deem it as the best film adaptation of the book. You have had an amazing life, able to follow so many interests and develop yourself in so many ways. I really admire you, and you bring with you a breath of English ways and culture that I often fear are lost. I arrived here as I am a fan of all things otter. Apparently the Marshes that Gavin Maxwell visited in Iraq are regenerating to some extent but damming of rivers has reduced the volumes of water previously available. The news that they had been destroyed affected me enormously. Habitat protection is all and estuarine environments are so sensitive and so valuable. Thanks so much for writing in. Have you managed to aquire any of my books? The memoir, ‘Funnily Enough’ is about living with tame otters. The tame male otter we have at the moment is to star in the new series of ‘My Family and Other Animals’. I helped with the filming aa our house on 30th October. Might I have the temerity to suggest this didn’t happen? It could well be that the leopard SANK his teeth…..but I am sure he didn’t SUNK them. A whole line of teachers stretching way back in my family history would be horrified if I didn’t mention this. Thank you so much for writing in. I hugely appreciate the help of proof-readers and accept all observations with gratitude. Do let me know of any other errors! I am glad you enjoyed the film ‘Swallows and Amazons'(1974). We made DVD Extras for re-mastered Blu-ray and DVD released in 2014 to celebrate the 40th Anniversary. Do, please, adda review to the Amazon site if you have a moment. I brought out ‘The Making of Swallows and Amazons’ to accompany this. 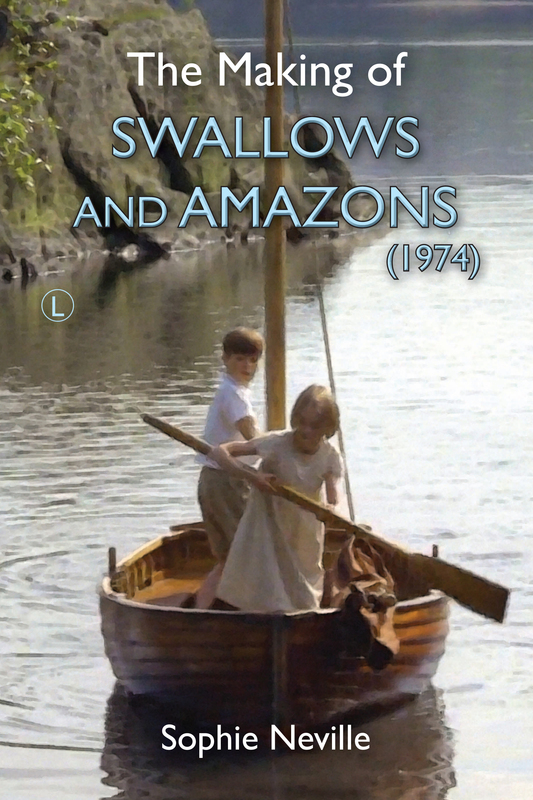 It is available as an ebook under the title ‘The Secrets of Filming Swallows & Amazons (1974)’. Please let me know if you find any errors there-in. I hope to bring out a 3rd edition next year. A few odd exceptions are prefered by publishers eg: the word Acknowledgements. Are you a member of The Arthur Ransome Society? Thank you for your reply Sophie. I have a modest education, and do notice errors in text now and then, but also I notice news readers are prone to outrageous errors too. It is all ok really, as I readily correct as I go along. I am a bit too old to be joining ‘clubs’ or making any useful contribution to them I think. The very first Arthur Ransome book I read was Coot Club. Then I progressed to several others, notably ‘Swallows’. In late adult years I purchased the books I had read, and discovered they were just as fresh and interesting as long ago. I liked the ‘flavour’ of the 1974 movie. I think Ronald Fraser? was ‘somewhat under the weather’ on most days. Due both to the weather calling a halt to filming, and a convenient local ‘pub’? I think he was ideal for the part anyway. Not that anyone needs to know my impressions. I am reminded of a saying from somewhere, something about ‘we never sleep’. Such a prompt response deserves a ‘pithy’ reply? Somewhere I must have that ‘making of swallows’ book, because I am sure that is where I read about ronald fraser. I will look for it when I have a moment. Just for the record, most of my ancestry is centred in the uk. Names like Plumstead and Portsea Island come to mind. Can’t remember much else right now. Thank you for the prompt response, and the link which I will follow with the greatest interest.